AIRFLO Distributors has been servicing Australia’s vacuum cleaner requirements for more than 20 years. It has withstood the test and the technology of the times by living up to the company’s ideals on reliability and affordability. 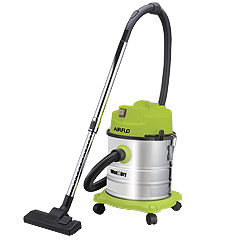 Today, Airflo offers a wide range of floor care products, which aside from the classic line of vacuum cleaners, includes: the Wet and Dry barrel vacuums, the Handheld 2-in-1 Stick Vacs collection, and the Multi-Steamer range, among many others. Each product caters to every household need and budget. In its commitment to further growth and customer service, Airflo has also ventured in the kitchen and household appliances market. The company incorporates a unique refrigeration line to their brand as well as a personal care collection. Indeed, Airflo boasts of a wide variety of products which are highly competitive in the market. Airflo Distributors always tries to tap on the ever changing demands of the public and has, as a result, come up with products that target the need of every consumer -- balancing on efficiency and economy. With its focus on reliability and affordability, there is definitely a product or two for you at Airflo Distributors. A company that is proudly Australian owned. 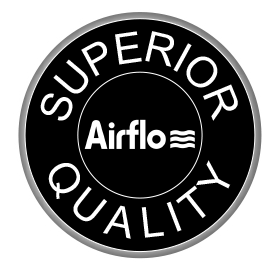 Committed to quality and affordability, Airflo is proudly Australian owned.